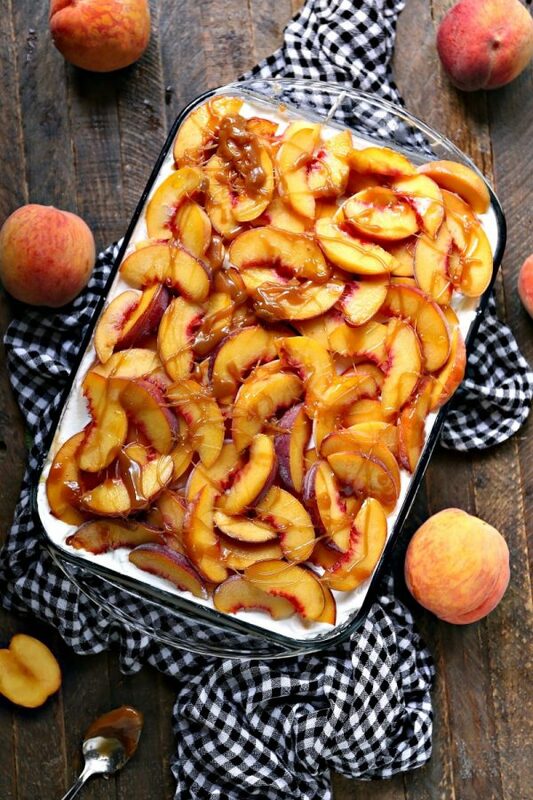 Thanks to Kim from Cravings of a Lunatic for this scrumptious recipe for Peach Icebox Cake with Caramel Sauce! Here’s what she has to say about it. Ontario Peach season is upon us and I could not be happier about that! I absolutely love peaches and can never get enough of them when they are fresh and local. 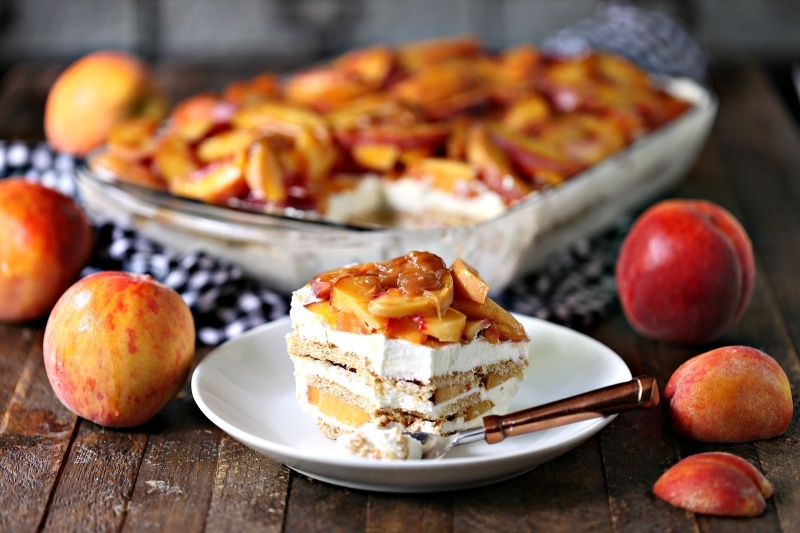 This week I made peach icebox cake, two kinds of peach cheesecake, peach jam, peach caramel sauce and peach cobbler. I’m having a blast in the kitchen! We’re lucky to live in an area of Canada that has tons of readily available fresh produce. We live in a small town that is surrounded by farming communities. That means fresh produce is in abundance during warmer months. Grocery stores carry local produce and farm stands are everywhere. 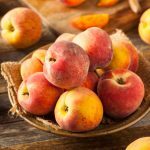 When selecting peaches, I find smelling them is super helpful to know if they are ripe. They should smell sweet. One of my favourite parts of summer is picking up my first peach and breathing in that sweet aroma. If you pick up a peach it should feel heavy for its size. Heavy peaches equal juicy peaches! And while you don’t want a peach that is green, remember that the colour doesn’t indicate ripeness! This is a Produce Made Simple tip. 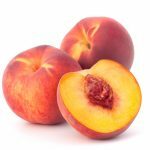 Peaches will range in colour, from light pink and cream to a reddish-yellow. The colour indicates the variety of the peach which is useful when picking your favourite! Try selecting a bunch that have varying ripeness if you plan on just munching them as a snack. That way they don’t all ripen at once and you can nosh on them for days on end. If you’re cooking with them buy slightly ripe peaches. If they’re too firm they will require more cooking time. If they’re too ripe it’s hard to slice them perfectly for baking. 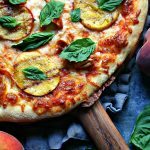 For this no bake recipe, I used ripe peaches. 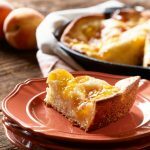 Since I was not cooking or baking this recipe it was important to use peaches that were perfectly ripe. I decided to make something as simple as possible. During the summer months I’m all about simple, no bake recipes so my kitchen stays cool. 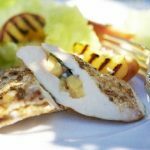 This recipe is incredibly easy and fun to make. Icebox cakes always go over well at picnics and potlucks. 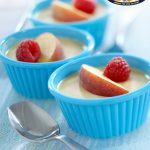 This dessert will disappear quickly on any dessert table. I added caramel sauce over top of mine but you could use whipped cream or powdered sugar. You can also just glaze the peaches with warm peach jam. I hope you love this recipe as much as my family did. It’s such a delightful dessert to serve in summer. It’s quick, easy and puts a smile on everyone’s face! Use non-stick spray or line a 9 x 13-inch pan with plastic wrap. Combine heavy cream, powdered sugar and almond extract to a mixing bowl. Use a hand mixer with to beat the whipping cream until it’s fluffy. Start slowly then speed up as it thickens. This will prevent a huge mess! Set aside. Combine sliced peaches and lemon juice in a bowl and toss until peaches are coated completely. Start with one tablespoon and only add second if needed. Set aside. Dab a small amount of whipped cream mixture on the bottom of the pan. Add a layer of graham crackers. Add a layer of whipped cream mixture. Repeat the process so you have 3 layers of each. Cover with plastic wrap and place in fridge overnight so the graham crackers become soft like cake. Remove from fridge and set aside while you make the caramel. Top with caramel sauce or use whipped cream or powdered sugar to finish this off. Another option is to simply glaze the peaches with warm peach jam. Then Serve and Enjoy immediately! In a microwave safe bowl combine the caramels and heavy cream. 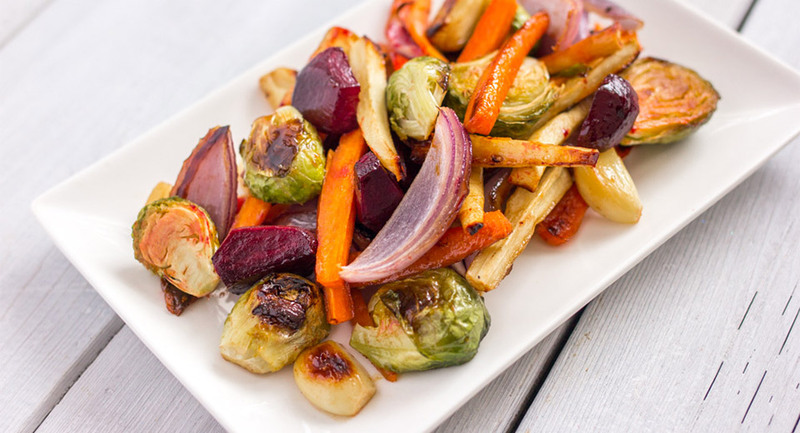 Place in microwave and cook for about 1 to 1 ½ minutes. Check the mixture every 30 seconds to make sure you’re not overheating it and it’s smooth when stirred. Drizzle caramel sauce over top layer of peaches. 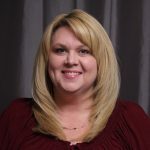 Discover other recipes by Kim for Produce Made Simple in her tab on our Contributors page!